The 24th Marine Expeditionary Unit (24th MEU) is one of seven Marine Expeditionary Units currently in existence in the United States Marine Corps. The Marine Expeditionary Unit is a Marine Air Ground Task Force (MAGTF) with a strength of about 2,200 personnel. The MEU consists of a command element, a reinforced infantry battalion, a composite helicopter squadron and an MEU service support group. The 24th MEU is currently based out of Marine Corps Base Camp Lejeune, North Carolina. What is today the 24th Marine Expeditionary Unit (MEU) was activated at various times as the 24th Marine Amphibious Unit (MAU) to participate in exercises and operations in the North Atlantic, Mediterranean and Caribbean. In May 1982, it was redesignated the 24th MAU and served twice as part of the multinational peace-keeping force in Lebanon (October 1982 through February 1983, and May through November 1983). The 24th MAU lost 221 in the 1983 Beirut barracks bombing. 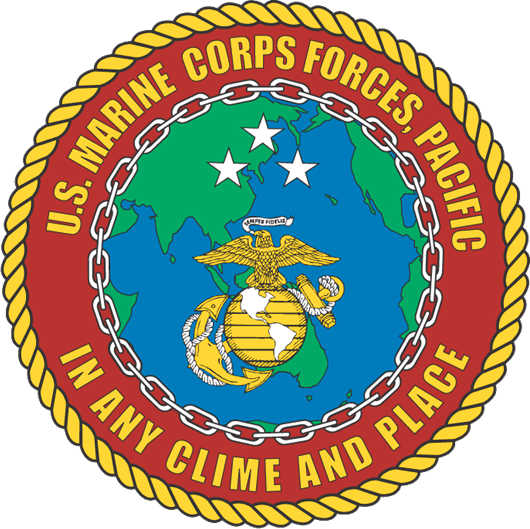 After the devastating 2010 Haiti earthquake on 12 January, the 24th MEU was diverted from its scheduled Middle East deployment to provide humanitarian assistance and disaster relief to Haiti, as part of Operation Unified Response. Having sailed from its homeport Naval Station Norfolk on the 18th, the USS Nassau's amphibious ready group (which includes the Nassau, USS Mesa Verde, and USS Ashland) was diverted on 20 January, bringing with it the first V-22 Ospreys to be used for a humanitarian mission. On the 23rd, it joined the 22nd MEU, which departed Camp Lejuene on 15 January with the USS Bataan ARG and remained until it was ordered to depart for its original deployment on 8 February. From 27 March to 20 Dec 2012, the 24th MEU deployed as an expeditionary crisis response force and theater reserve with the Iwo Jima Amphibious Ready Group, which consisted of the amphibious assault ships USS Iwo Jima, USS New York, and USS Gunston Hall. They sailed throughout the Navy’s 5th Fleet and 6th Fleet areas of responsibility, conducting training operations and planning for real-world crisis response. The MEU took part in two major multilateral events; Exercise African Lion 12 in Morocco and Exercise Eager Lion 12 in Jordan. The majority of the MEU also conducted extensive training packages in Kuwait and Djibouti, Africa, while smaller Travelling Contact Teams dispersed throughout Africa to share experiences with militaries in Tanzania, Uganda, Kenya and Rwanda. The MEU was scheduled to return from deployment around Thanksgiving but was extended until the middle of December in order to support potential crisis response missions. ↑ "US Marines "kill 400 Taliban" in Afghan operation". Reuters. 9 July 2008. http://www.reuters.com/article/featuredCrisis/idUSISL48402. ↑ "Afghanistan: The Forgotten War". NOW on PBS. http://www.pbs.org/now/shows/428/index.html. ↑ Ewing, Philip (20 January 2010). "Nassau ARG, 24th MEU, tapped for Haiti". Marine Corps Times. http://www.marinecorpstimes.com/news/2010/01/navy_nassau_haiti_012010w/. Retrieved 20 January 2010. ↑ 5.0 5.1 Talton, Trista (20 January 2010). "24th MEU joining Haiti relief effort". Marine Corps Times. http://www.marinecorpstimes.com/news/2010/01/marine_24th_meu_012010w/. Retrieved 21 January 2010. ↑ Faram, Mark D. (19 January 2010). "Bataan ARG to begin arriving in Haiti today". Navy Times. http://www.navytimes.com/news/2010/01/navy_bataan_haiti_011810/. Retrieved 20 January 2010. ↑ Lamothe, Dan (Monday 8 February 2010 19:13:42 EST). "24th MEU, Nassau ARG complete Haiti work". Marine Corps Times. Archived from the original on 11 February 2010. http://web.archive.org/web/20100211162959/http://www.marinecorpstimes.com/news/2010/02/marine_haiti_020810w/. Retrieved 9 February 2010. ↑ Whittle, Richard. (August 16, 2012) "Marines Find Pilot Errors Caused Fatal V-22 Morocco Crash"  AOL Defense.